Trago Silver is crystal clear and smooth, with a clean agave taste. 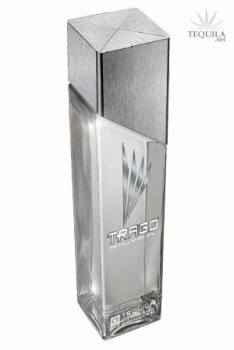 With a slightly spicy, smoky flavor, and hints of pepper, citrus, mint and herbal aromas, Trago Silver is the perfect base for any cocktail, such as a Tragorita, Tragotini or mojito. This clear, light bodied silver Tequila has a full nose of musky cooked Agave, vegetal with hints of pepper. The initial taste is spicy and fruity, turning to mild sweet agave. A short heated finish, with mild metallic mint aftertaste. A new modern tequila bottle design and label. I got this as a present at christmas, and I have been drinking it for a bit so I thought it was time for a review. On the nose this is fairly clean with some lemon/lime citrus, agave and some pepper. On the palate there isn't a bunch of complexity with pepper, agave, and tar. The body doesn't stun me, not super crisp, or super complex. The finish is of medium length but mostly carries the tarry taste. I was going to rate the presentation 84 and then I thought I better double check to see what I rated the other Trago I had rated. Guess what I rated that 84 so I guess I'm pretty consistent in my opinion on this presentation. For the price-about 70 canadian there are many better blancos. Aroma: Agave, grass and floral notes. Initial Taste: A thin mouth feel, sweet with no bitterness. Body: Great Agave flavor, complimented by citrus, floral, earth and spice. Finish: A nice medium length finish with a pepper linger. To me, this is what a blanco is all about. Agave forward with nice complimentray notes. Admittedly, I like aged tequilas better, but this is a good, solid blanco. I LOVE the anejo from this line and can taste the base tequila that made that spectacular anejo. Trago is a brand that tries to look ultra-hip, but doesn't really need to because they have a quality product inside the modern bottles. Nose is alcohol, grapefruit and very mild agave. Thin in the mouth, a semi-sweet entry quickly yields to an overreaching bitterness. Olive and herbals dominate the body, as a soft agave presence deepens. Finishes slowly but with little distinction; it just drifts off, leaving an alcohol buzz and a residual bitterness on the tongue. If Trago aspires to be a part of the premium tequila scene, they have considerable work to do. Tasted on 08/12/08 out of double ball glass. Trago blanco was a very nice blanco. Im not the biggest fan of the 'modern' look of the bottle. A great sipper very reminiscent of El Tesoro, go figure. Aroma: Smoke, fruit, and floral. Body: Nice bold agave, complimented by citrus, floral and spice. Trago Silver NOM 1474 Tasted on 4/18/08 at 9:10pm. I tried this tequila at the Grad Tequila Bar in Davis, CA and tasted it in a snifter. With a clear color, this tequila has intense aromas of earth and spice with moderate floral and smoke. Other aromas include hints of fruit. 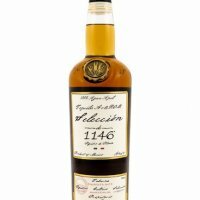 The tequila has a thin mouth feel and on the first sip it has a low level of sweetness with minimal bitterness. Trago Silver has intense flavors of agave, floral, and smoke followed by moderate notes of earth and spice. With a medium to long duration of flavor, minimal tastes of fruit bring this tequila to a subtle numbing finish. Trago Silver has received the rating of 89 points out of 100.